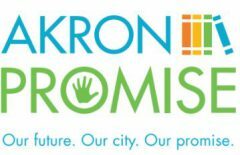 Akron Promise / iC.A.R.E. volunteers work with students and their families to help them learn about, and navigate, the path to their post-secondary objectives. Identify post high school objectives. Work with counselors for assistance as needed. Connect students to resources (tutoring, experience, contacts). Assist in access to required post-secondary education (enrollment, scholarships, etc). Assistance with any requirements and the process for those desiring to enlist in the military. Once a student has signed up to participate, the advocate will meet with the student at their school as they, together, begin the process of preparing for post high school life. Once objectives and plans are ready, the student and their advocate may need to go to appropriate places in Akron and the surrounding areas to access the appropriate resources, learn about opportunities, and complete required paperwork (such as FAFSA, Resume, applications, etc) to achieve their goals. To get involved, contact Tom at Akron Promise at 330 329 4855 or tghinder@gmail.com.